We don’t just talk about quality – we live and breathe it too! As early as 2003, we introduced a quality management system for the entire production process for our precision collets that covers all processes from development and design through to manufacturing. Adherence to the DIN EN ISO 9001 guidelines is checked in regular audits. 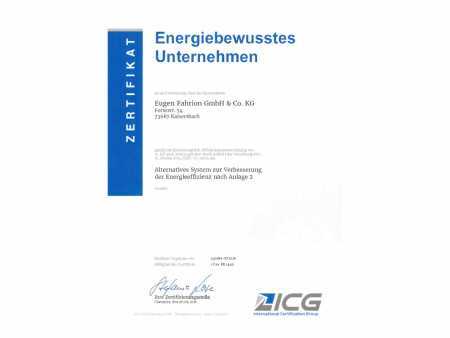 Eugen Fahrion GmbH & Co. KG was once again assessed in this certification audit as very good or good without any deviations whatsoever. 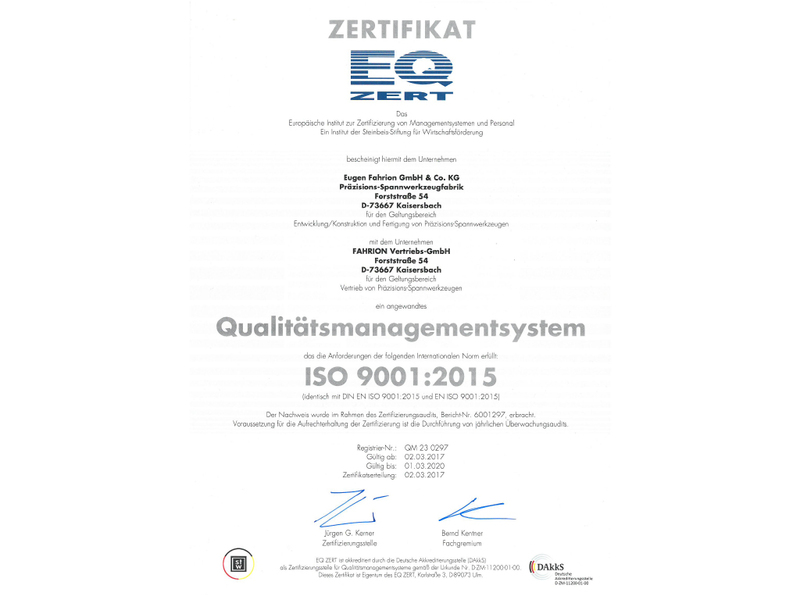 FAHRION Vertriebs GmbH also was also successfully ISO-certified in January 2013. The main customs office Stuttgart has awarded Eugen Fahrion GmbH & Co. KG and FAHRION Vertriebs GmbH the AEO-C-certificate on November 25, 2011. Now the company is regarded as “authorized economic operator” by the customs authorities being especially reliable and trustworthy. Thus Eugen Fahrion GmbH & Co. KG can handle its goods management easier and more efficient. The AEO-certificate was established by the EU within the scope of the development of global standards for the protection of the international supply chain against criminal risks particularly terrorist attacks. This way global supply chains from the producer of goods to the end user are supposed to be protected effectively in particular for cross-border trade. 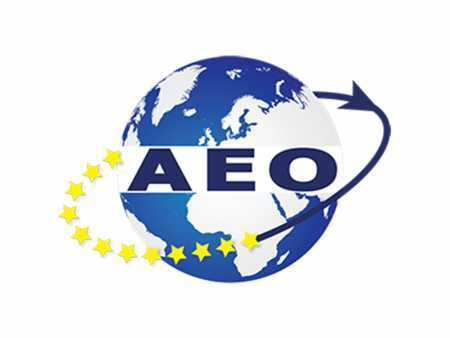 The advantages of the AEO-Certificate are faster and easier customs clearance and more transparent transportation routes. For this reason we can provide best premises for supplying our customers as quickly as possible. We are also very proud to have been repeatedly honored as an energy conscious company.